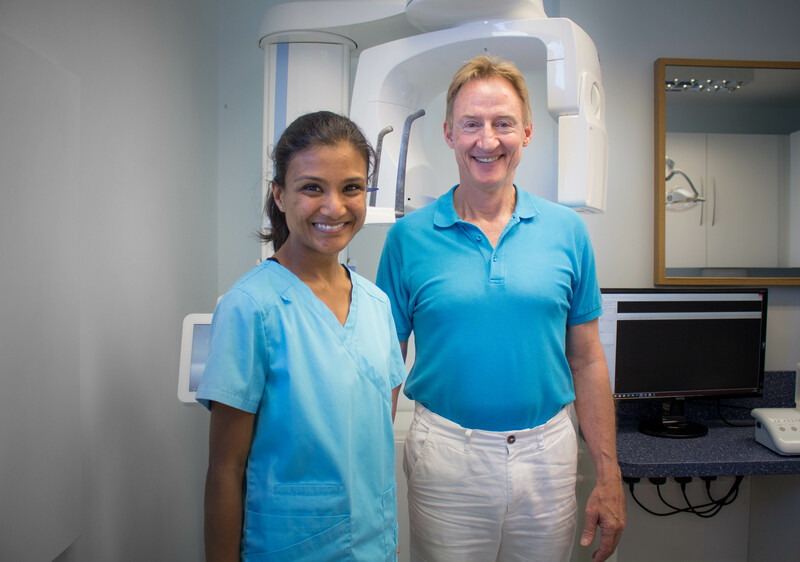 As part of our journey to give patients the best possible care and treatment at Bridge Dental Clinic, we’ve now completed the installation and certification of our new 3D X-ray machine, the Planmeca Cone beam scanner. What is dental cone beam CT scanner? A dental cone beam (CB) CT scanner uses x-rays and computer-processed x-ray information to produce 3D cross-sectional images of the jaws and teeth. It is a smaller, faster and safer version of the regular CT scanner. Through the use of a cone-shaped x-ray beam, the radiation dosage is lower, and the time needed for scanning is reduced. The machine moves around your head in a circular motion in a similar way to the panoramic dental radiography unit which is commonly used in dental surgeries and hospitals, which you may have already experienced. Why should I have a dental CBCT? The scan will give us detailed information which cannot be obtained from normal x-ray examinations. For example, if you are being considered for dental implants or other special procedures, it enables us to assess the exact shape of the bone.